I love living in Tomsk for many reasons, but the biggest is that in spite of being in Siberia, Tomsk is a major tech center. That means I not only get to work in a tech company, NTR Lab supplies remote teams, as well as developing our own products, such as our drone, but that my city is filled with dozens of IT companies and many other professionals that work for foreigner customers. It makes for a varied and very interesting population. 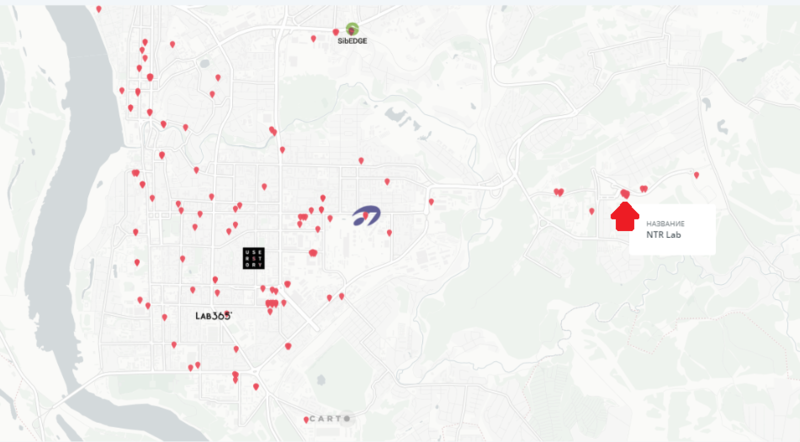 Here is a map showing all the IT companies located in Tomsk, including NTR (marked with the red arrow). Just have a look!